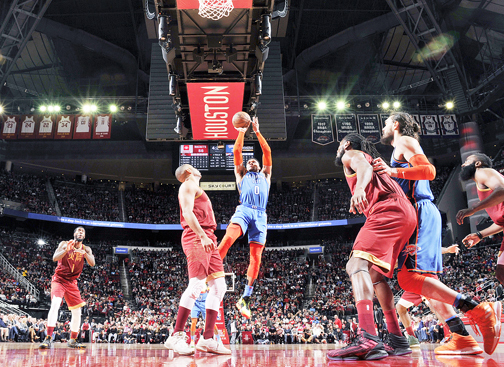 Los Angeles, United States – Russell Westbrook matched the NBA record with a ninth straight triple-double and Paul George scored 15 of his 45 points in the fourth quarter Saturday as the Oklahoma City Thunder roared back from a 26-point deficit to beat the Houston Rockets, 117-112. Elsewhere, there was a big comeback in Boston as well as the new-look Los Angeles Clippers erased a 28-point second-quarter deficit to stun the Celtics 123-112. Meanwhile, Jabari Parker and Bobby Portis returned to Chicago – the team that traded them this week – and scored 30 points between them to help the Wizards to a 134-125 victory over the Bulls.